You may feel like you have signed your life away by signing a rental agreement or lease but you do have rights and protections under Nevada state law to break a lease at any time. You may feel like you have signed your life away by signing a rental agreement or lease but you do have rights and protections under Nevada law to break a lease at any time. Home prices around Southern Nevada are creeping back toward their pre-recession highs which is forcing many people to rent apartments and other dwellings. Jan Marie says for her situation, a young medical professional, renting an apartment just made sense and she found what she thought was the perfect place near the Las Vegas Strip. "It was a high-rise, it had a nice view and it was renovated," said Marie. The model unit had updated appliances, fresh paint, a double-door entry and a great view of the Strip. Marie says shortly after she plunked down the fees for the application, there were some red flags and delays. Marie says the unit she was promised was rented to another tenant and the one she was offered looked nothing like the model unit. "It was literally like an apartment out of the 70s," recalled Marie. "It had an old stove, an old refrigerator, everything was old in the entire apartment and on top of that, my view was of the Siegel Suites," she added. Marie said there was some last-minute wrangling and she was given a unit that was not ideal, but the delays of moving put her in a crunch for time. Marie said she did a very quick walk-through, signed the lease and began to move in her stuff. "I didn't have much of a choice. It was in a condition I thought was livable. Of course, later on I learned that was not the case," said Marie. Marie provided Contact 13 a series of photos and video which show the unit was suffering from a big roach and bug problem. "The bugs were literally crawling on my makeup brushes and they were crawling out of my boxes," said Marie. Marie says she reported the problem to apartment management and her unit was sprayed for bugs 3 times. The problem persisted to the point that she needed to move out. Marie said she had to get a regional and then corporate manager involved, and eventually had to put the complex on blast via social media. Eventually, Marie broke her lease successfully and was reimbursed all of the money she paid for the rental lease. "A lease is like any other contract which contains provisions that both parties have to abide by," said Attorney Lauren Pena from the Civil Law Self-Help Center inside the Regional Justice Center. 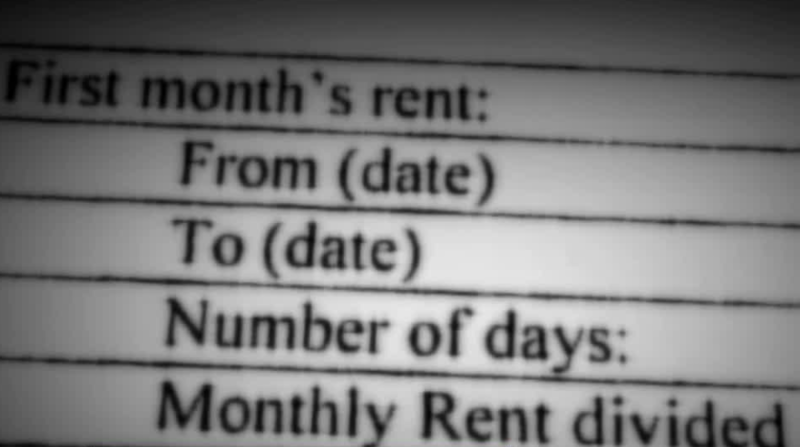 Nevada is one of several states that allow tenants to break a lease for any reason and will not hold renters responsible for the entire amount of the remaining lease. Under Nevada Revised Statute 118.175 , the landlord must make their "reasonable best efforts" to re-rent the unit as quickly as possible. The tenant breaking the lease is responsible for rent until the unit is re-rented. "The law says that if a tenant abandons the lease, the landlord has to make reasonable best efforts to rent that unit out at a fair rental price," said Pena. 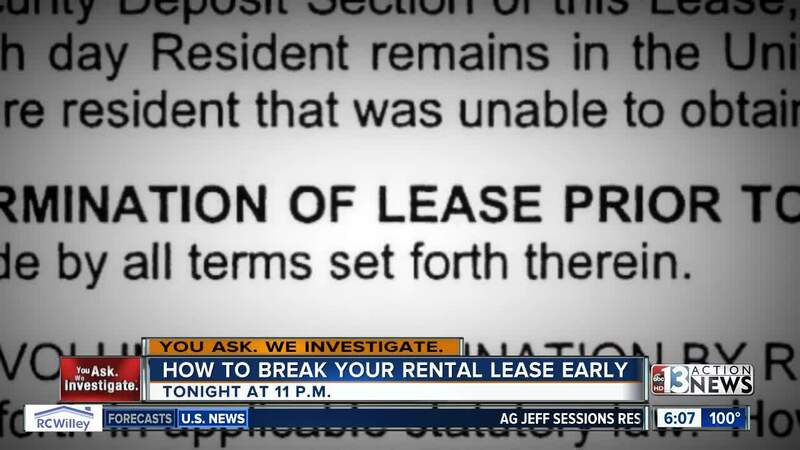 If you are breaking a lease, prepare to pay at least 1-2 months rent and it may also include losing your security deposit, according to Pena. Pena suggests thoroughly reading your current lease to anticipate any penalties you already agreed to pay.